​The Creative Souls Project and producer Zandra Ah Jay-Maepu from Polynesian Pages proudly presented Out of Date. A cast of young actors brought this story to life in a children’s play. A story in spirit of the holiday - celebrating the greatest, grandest, tastiest Pacific feast of the year. 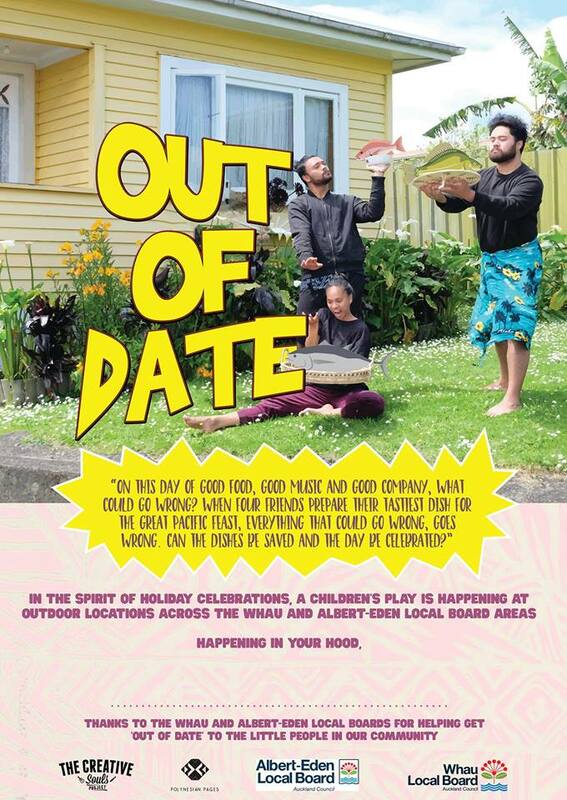 Out of Date was created for outdoor spaces and was performed in December in parks across the Whau, Mt Albert and Mt Eden.